and there’s a storm brewing named Saturn. It can’t get any more metaphorical, can it? Today, at 2:15pm est, (about to become edt) the moon conjoins pluto. It’ll be an intense moment for some, so intense that it has the potential to transform you. Indelibly. more later. may all beings be safe. I’m facilitating another Yoga Nidra tomorrow morning. First one of the year. Can’t believe it’s 2013 and we’re all still here!! Just kidding. The astrological aspects are so supporting for this kind of yoga practice right now. The possibilities are limitless. The little stellium of Sun Neptune, Chiron and Venus re-affirms a drive towards spiritual healing. It’s a void-of-course moon again today! Oh, yippee!!! Because I don’t think I have another ‘productive’ minute in my body. It’s time to re-group and practice some deep breathing. 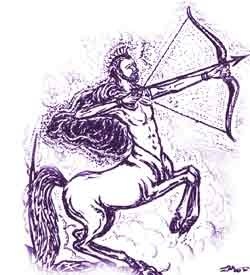 Chiron’s coming around soon. It ends around 11:24 pm tonite……… yup, time to get a good rest in. The void-of-course moon is like a microcosm of the longer measurement of time called the balsamic phase of the moon. The difference is simply the length of time……ie. 6 min / 6 hrs….get it? Check out the other posts all over this site on the ‘balsamic moon’. There’s a search engine over there in the upper right hand corner. BTW, the balsamic phase begins just as the void-of-course ends………..yup, a nice long rest will do fine….Equinox coming, too.